How to get Georgian citizenship? Can I get a job or promote my business idea using Reality TV? Yes, You Can, in Georgia! 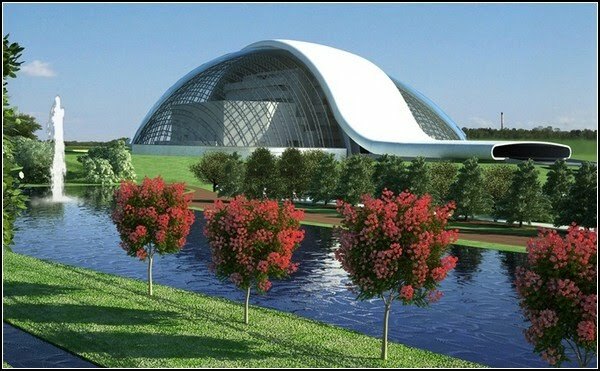 The author of the new Georgian Parliament building project is a Spanish architect Alberto Domingo Kabo, already known in Georgia due to his project of the Internal Affair Ministry (Police) building in Tbilisi, which looks more like a high-tech science center than the security agency office building. The project developed by this architect for Kutaisi, assumes the creation of a seven-storey building with 217 rooms and large conference room for parliamentarians. But this "conventional" construction will be covered with a huge glass dome, laying on thirty semi-circle curved metal beams, the length of the largest of which is more than 200 yards. According Alberto Domingo Kabo, this glass dome should embody lightness and transparency but at the same time symbolize the power of the Georgia. 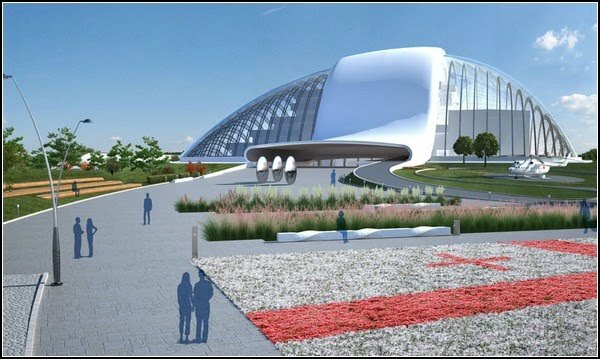 To emphasize the idea of strength and power, the central entrance to the Parliament building will look like a tree made of steel, taking roots in the earth but elevating its branches in to the Georgian sky. Construction of this building in Kutaisi is in full swing. It is already completed construction of so-called "zero level" and it will soon start construction of the main levels. If nothing unforeseen happens, the new building will host the first meeting of the Georgian Parliament in early 2012. Chidaoba: national Georgian "jacket wrestling"
Hello! I've decided to create this website, LinkGeorgia.com, to collect as many as possible web links in English related to the Republic of Georgia, place I was born, spent most of my childhood, place I love and have great passion about! LinkGeorgia is a free web library. If you know a weblink related to Georgia but missing here, please contact me and I will use it to enrich the catalog. Any website, whether commercial or not, is more than welcome here. The only requirement - website in English and related to the Republic of Georgia. LinkGeorgia.com will show you how and where you can get most recent information about Georgia, its culture, history, politics, business, economy and recent development. Georgia today is a new independent country with one of the fastest growing economies in the world. Discover Georgia with Link Georgia!